Sure, Metallica may not have actually hid VIP concert tickets inside Tucson-area burritos, but the idea of putting music inside food is still a solid one, right? Right? 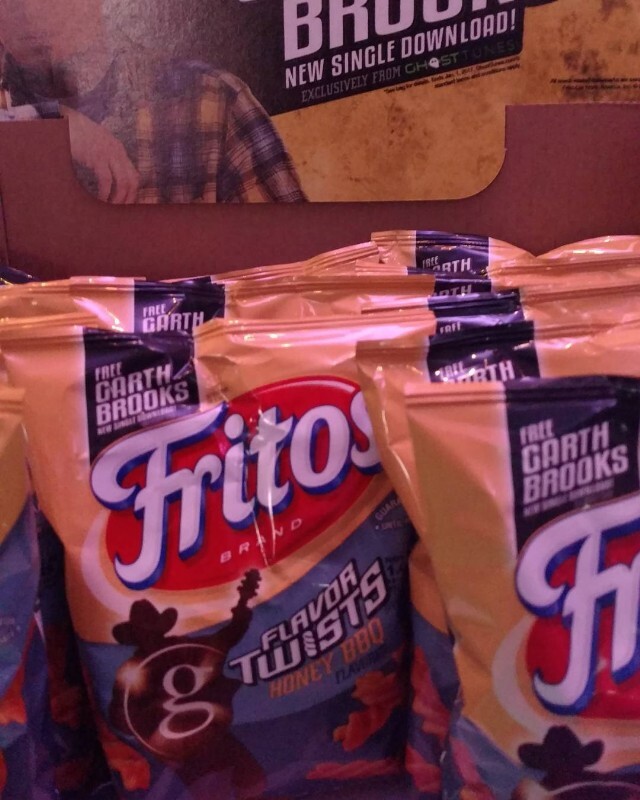 A couple of years ago, Usher released his song “Clueless” via specially marked Honey Nut Cheerios boxes sold exclusively at Walmart, and now, in a move that probably even the Flaming Lips would think is bizarre, Garth Brooks has decided to release his new single via specially marked bags of Fritos. Oh, and the single will be exclusive to GhostTunes, the streaming platform that Brooks himself launched two years ago and that no one knows exists.